Read the dialogue and answer the questions. 1. What kind of laundry detergent does Ross use? 2. Has Rachel done laundry before? 3. According to Ross, what three categories should laundry be divided into? The latest issue of Hot English (170 – the July issue) is out now! Learn over 300 useful words and expressions and improve your listening skills with Learn Hot English! 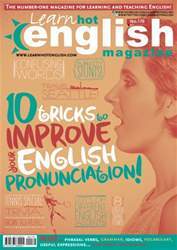 This month: 10 tricks to improve your English pronunciation – learn all about silent letters in English and really improve your knowledge of English. Plus, 6 useful verbs for talking about changes, 8 useful clothes words, 12 words and expressions for talking about the car, 6 ways to confirm information, 8 useful phrasal verbs, 8 idioms, 8 useful words and phrases for talking about sweets and food... plus: • Zoology – animal instincts. • Literature – The Little Prince. • Phone English – giving directions. • Language – confusing words. • TV – Friends. • Business – Steve Jobs. • Food – chicken cordon bleu. • Sport – tennis. • Politics – Sarah Palin. • Celebrities – kids’ names. • Travel – Seattle. • Marketing – publicity stunts. • Psychology – the effects of power. 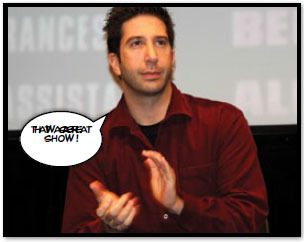 • Slang – learn some slang with our dictionary of slang. AND LOTS, LOTS MORE! By reading and listening to all this great content, you'll improve your English reading and listening skills and learn up to 300 useful words or expressions. Plus, you'll get a better job and pass English-language exams more easily. Guaranteed! 10 TRICKS TO IMPROVE YOUR ENGLISH PRONUNCIATION!